EDINA, CA (BRAIN)—Time Sport USA has moved its headquarters from California to Minnesota. Time was located in Montecito in Santa Barbara County. GRAND JUNCTION, CO—Six years ago when Mavic’s pre-built wheel offerings took the market by storm, many expected wheel-building knowledge to die out as dealers gave up trying to compete with their own store-built wheels. Contrary to expectation, however, custom wheelbuilding is going strong. SALT LAKE CITY, UT (BRAIN)—Online retail trainer 3point5.com and the Board Retailers Association (BRA) have partnered to build and promote Web-based training for the board sport industry. PARKER, CO—James Modrell competed in triathlons for three years before he decided to turn his hobby into a full-time career. LAGUNA HILLS, CA—Wading through the intricacies of a comprehensive liability insurance policy causes huge headaches for specialty retailers, but shrugging off the task can turn into a nightmare if a claim is filed against your business. SEYMOUR, CT (BRAIN)—Thule is giving away $10,000 in the months of May and June and bike shop employees can get some of the cash by “Just Saying Thule." MANCHESTER, NH (BRAIN)—Six more retailers have signed on with The Biking Solution in recent weeks as the company continues to expand since relaxing membership requirements last year. EMMAUS, PA (BRAIN)—Bicycling and Mountain Bike magazines have moved their West Coast office from Burbank to Valencia. Bicycling editor-in-chief Steve Madden said Valencia is a better location for testing and meeting with people in the industry. KENT, WA (BRAIN)—Raleigh America, owner of Diamondback Fitness, will close Diamondback’s Camarillo, California, offices and move the operation to its facility in Kent, Washington, said Steve Meineke, Raleigh’s president. BOULDER, CO (BRAIN)—Retail staff training for Shimano’s Coasting concept and the 2008 Coasting bike models is now live at www.sellingcoasting.com (click on link). 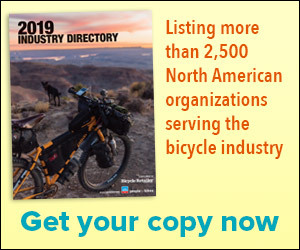 PARK CITY, UT (BRAIN)—Backcountry.com, a highly successful and arguably the biggest online retailer of outdoor gear for climbers, hikers, skiers, snowboarders and paddlers, has begun selling bike parts, accessories and clothing through its online bike store. ST. LOUIS, MO (BRAIN)—It looks as though St. Louis area retailers stayed dry, but they couldn’t stay above the fray when it came to lost sales due to the recent flooding that has devastated parts of Missouri and other parts of the Midwest. CHAPEL HILL, NC (BRAIN)—As a matter of policy, Performance Bicycle generally declines to comment on its business strategy.